After yesterday’s excitement about a possible physical Google Wallet card, it’s becoming more obvious by the day that Google is taking mobile payments seriously. To make Google Wallet an overall better experience, they are revamping how Wallet works on mobile websites, which has never been a good experience up until now. 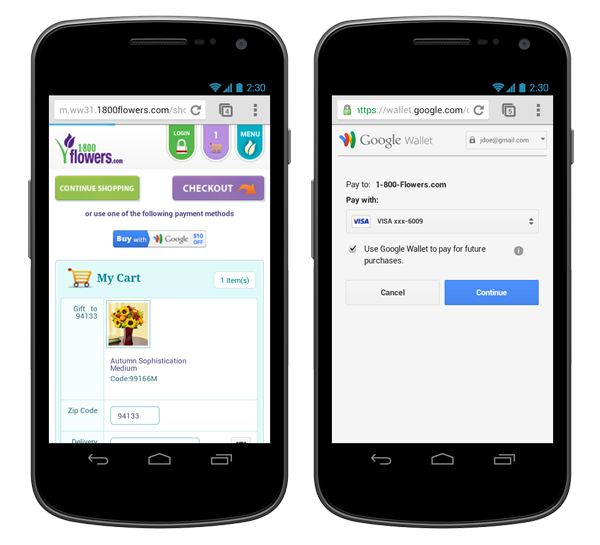 Google has added in a button that allows you to add items to your Google Wallet cart which, instead of going through the website and filling in all your information each time, you can complete the order from Wallet separately. It’s the little changes like this that will really help Wallet to move forward in the long run. Now go and order all the things from the web!